Before we left Bristol, we persuaded the bus driver to pick us up in town and some of us walked back along Hope Street. 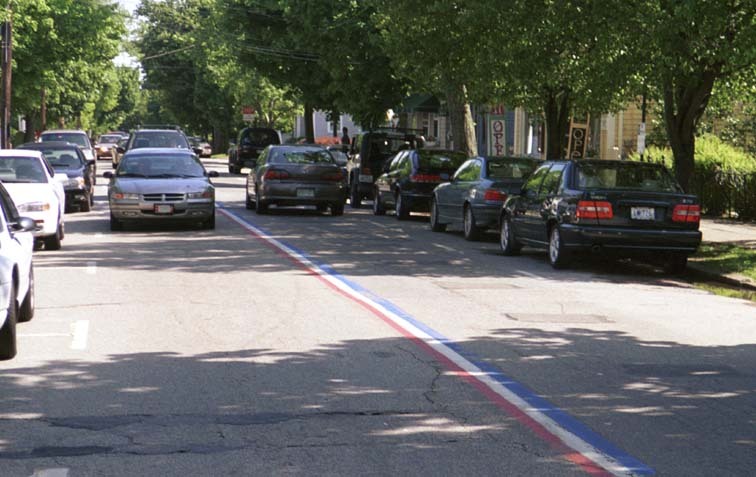 The stripe down the middle of Hope Street has novel colors - red, white, and blue. 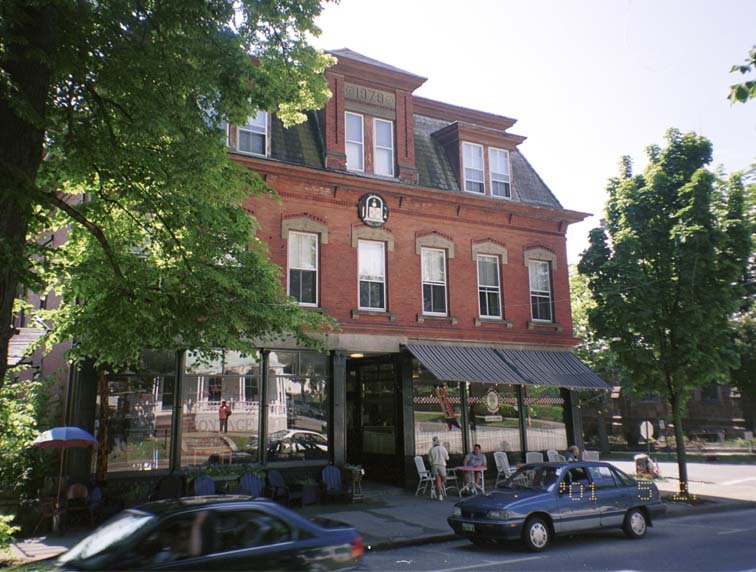 This building is dated 1879 and has a Masonic crest on it. 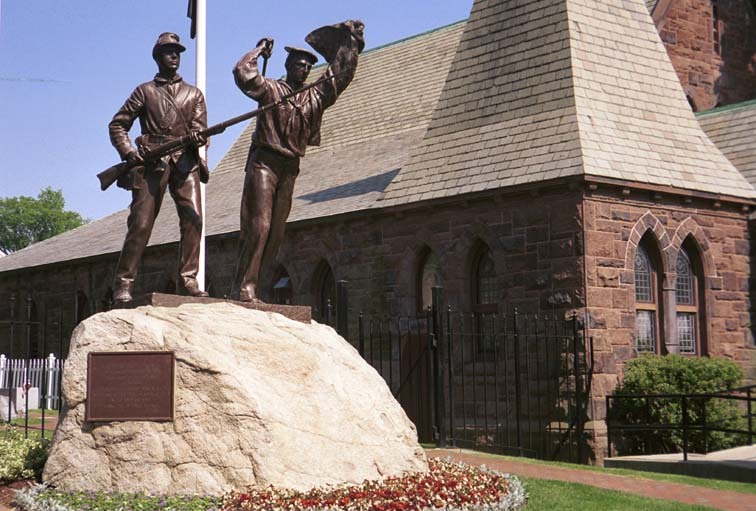 Bristol dedicated this memorial to the soldiers of the Civil War. 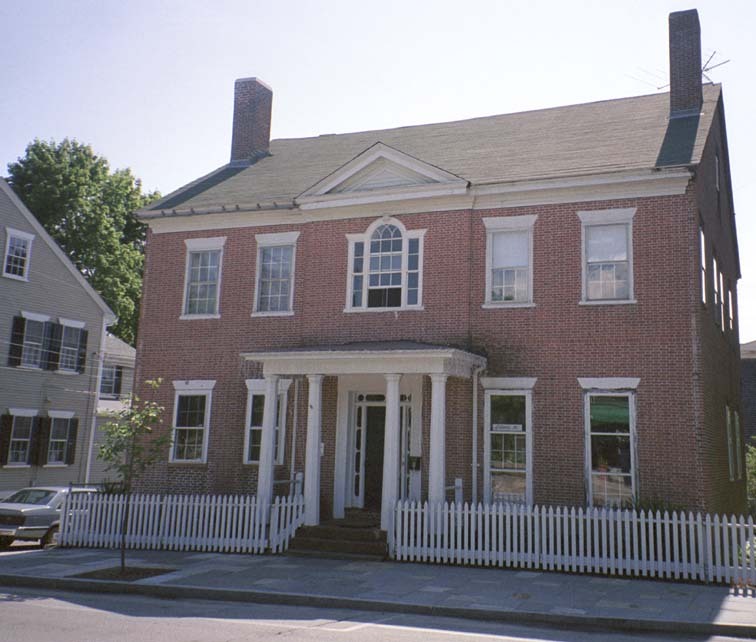 A house on Hope Street.